The Bubble Mountains are seen in the distance across Jordan Pond in Acadia National Park. Excellent, Clueless. A good image to show in monochrome. I haven't been by your blog in a long time. Too much to do, too much to see. Sounds like we were both in Maine last week. Really like this picture. 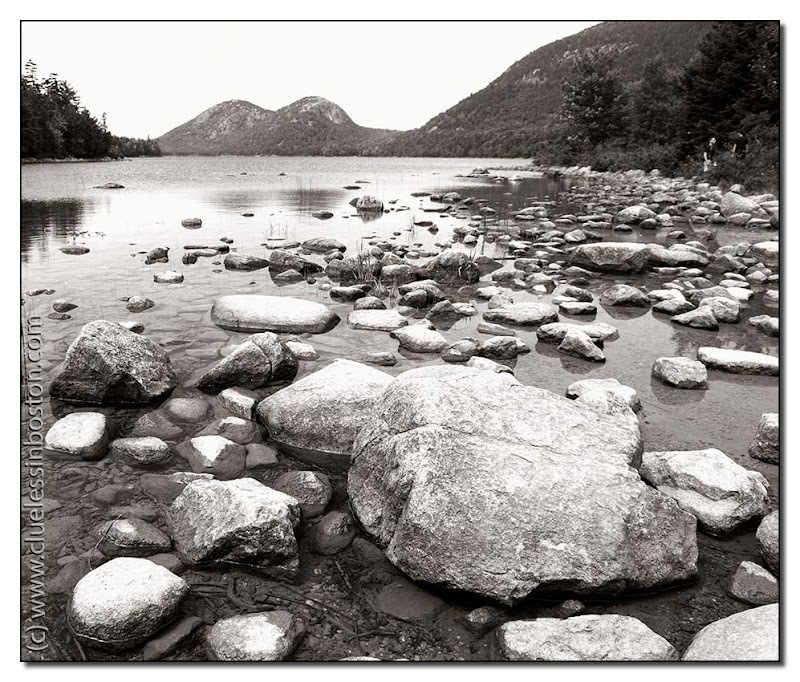 It's the essence of Acadia - rock, water, mountain, sky. On my way home, my brother, who lives in Southborough, took me to Sox game at Fenway last Saturday night. Never been to Fenway - almost a religious experience. Pix of Fenway and Maine on St. Louis Daily Photo. Oh, and by the way, I LOVE the quotation on your banner. I have it as one of my favorites on my Blogger profile. Outstanding image of the 'bubbles'. This is a great contrast in textures and shades. It is perfect in b/w. Marvelous image, love the perspective and the choice of B&W. Nice work indeed.